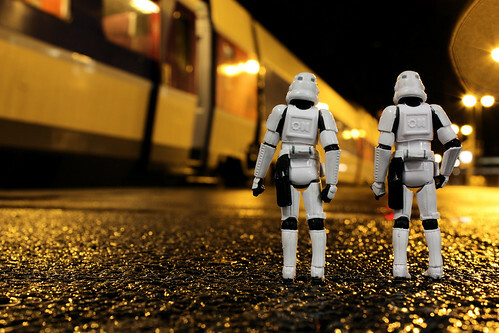 Stormtroopers 365 is a project by a so far anonymous photographer from America. 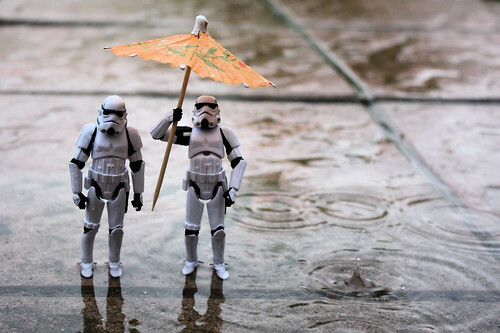 The true stars of the project are K455 and TK479, Stormtroopers in the Galactic Empire Army. 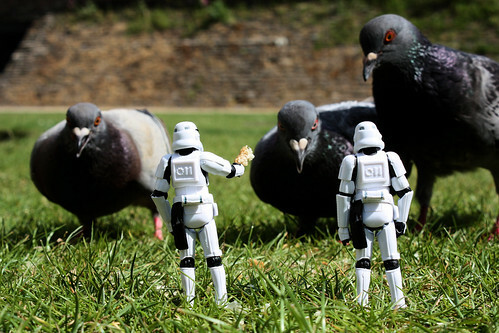 It’s a Star Wars ting mate (sic). The project began on April 3rd 2009 and should en on April 3rd 2010. Each day during this year, a new picture is added to the series. 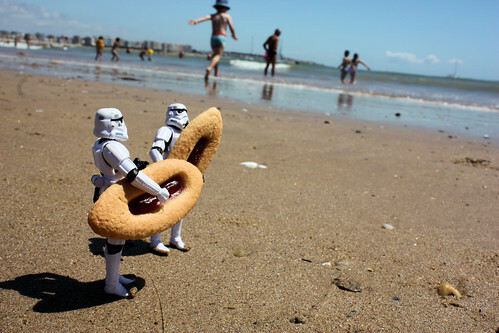 At time of writing there is 221 photos of the two Stormtroopers up to any thing and everything. Check out the website here. Alternatively head to the Flickr group.